Constant complaints like “I’m hungry!” and “Are we there yet?” from the kids, drive most road-tripping parents crazy. But with careful planning, the annual family road trip might be more memorable and a fun start to the holiday. Perfect planning should cover a number of areas — entertainment, comfort, communication and most importantly, food. Make sure you have a range of toys or books that will keep your passengers entertained but won’t make a mess. Bring pillows for the back-seat crew so sleeping and snuggling is easy. Explain to the kids how long the trip will take, when stops are planned and what’s expected of them, so they can keep their own track of "How long ‘till we get there?" And of course, ensure tummies are taken care of by bringing a nutritious stash of healthy food options. Frozen fun — Freeze some UP&GO™ and let them slowly defrost throughout the trip. Not only do the slushy drinks fill bellies in a fun way, but they are mess-free and can also act as ice bricks for food that needs to be chilled, like cheese sticks or yoghurt tubs. Mix & match — Prepare a range of sandwiches with a variety of fillings that won’t spill. Cut them up into small pieces to make them last longer, pop them in a big container and give the kids a ‘lucky dip lunch’. Fresh is best — Chop some fruit or veggies into bite-size pieces that can be handled and consumed easily. Think non-stick, non-drip and non-staining like apples, bananas and sliced grapes. Remember you can keep fruit like pre-cut apples fresh by holding the slices together with a rubber band. Older kids that aren’t as likely to spill can dip their veggies in hummus or another tasty dip. Tasty treats — Reward good behaviour with some treats that are both delicious and nutritious. Try making a family favourite slice like chocolate beetroot squares or mini muffins. Crunch time — Make your own crunchy crisps by oven-baking some pita bread and sprinkling herbs and spices on top. Give the kids their own ‘pack of chips’ in a mini container that they can close when they’ve had enough. 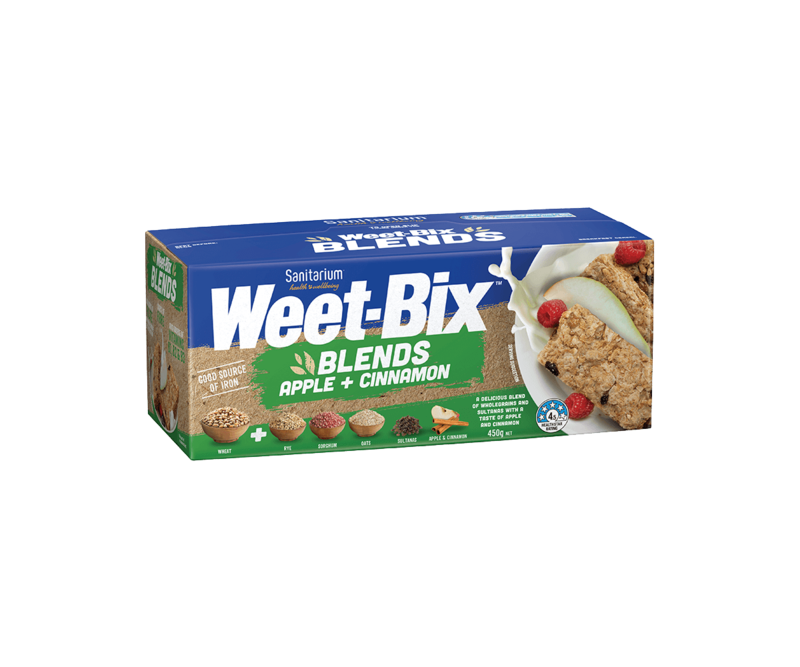 Weet-Bix GO™ is another great crunchy option that doesn’t require any baking or prep.